The PN841 pediatric nasal mask has thoughtful touches to enhance the comfort and performance of the mask for your youngest patients. Small Nasal Cushion is a replacement part for the PN841. The PN841 pediatric nasal mask is truly designed for children, with a modified cushion curvature for the specific sizing and bone structure of pediatric patients. Medium Nasal Cushion is a replacement part for the PN841. The PN841 pediatric nasal mask is truly designed for children, with a modified cushion curvature for the specific sizing and bone structure of pediatric patients. Large Nasal Cushion is a replacement part for the PN841. The PN841 pediatric nasal mask is truly designed for children, with a modified cushion curvature for the specific sizing and bone structure of pediatric patients. Frame is a replacement part for the PN841 pediatric nasal mask. Headgear is a replacement part for the PN841 pediatric nasal mask. Headgear Clips are a replacement part for the PN841 pediatric nasal mask. Sizing Gauge is a replacement part for the PN841 pediatric nasal mask. SE Elbow is a replacement part for the PN841 pediatric nasal mask. Leak 3 Elbow is a replacement part for the PN841 pediatric nasal mask. 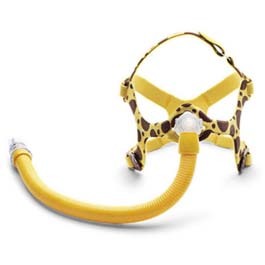 Yellow Tubing Cover is a replacement part for the PN841 pediatric nasal mask.